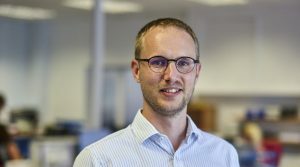 Jakob is a Chartered UK Patent Attorney and European Patent Attorney, specialising in chemical and mechanical technologies. Having obtained an honours degree in chemistry and law from the University of Bristol in 2002, he returned to the West of England in June 2012 to join Greaves Brewster LLP. He became a partner in 2015. Jakob previously spent nine years at a private practice firm in London, including a couple of years seconded part-time to the IP department of a major chemical client. This gave him a well-rounded experience of patent and design law from a variety of perspectives. He is well versed in European Patent Office (EPO) practice and enjoys working proactively with clients to ensure that they take advantage of the most up to date European prosecution strategies. He is particularly experienced at handling EPO opposition and appeal proceedings, infringement and validity opinions and IP due diligence. Jakob grew up in Jamaica, Germany and India, which gave him a particularly international outlook on life. Now bilingual in English and German, he also enjoys learning and taking an interest in new things, be it cultures, technologies, businesses or people. One of his greatest joys has been picking up the sport of cricket in India and continuing it to German national team level.